If you go to Bologna, there are several interesting sights can be the beginning of your holiday destination. Bologna is located in the region of Emilia-Romagna, northern Italy, is a strategic location for tourists in Italy. 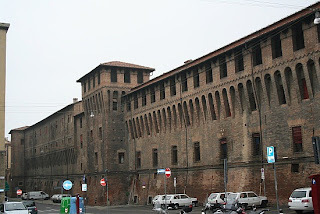 The following is the major tourist attractions in Bologna Italy. Piazza Maggiore is a square in the city of Bologna. Piazza Maggiore as one of major bologna tourist attractions was founded in 1200. This is one of the best squares throughout Italy. 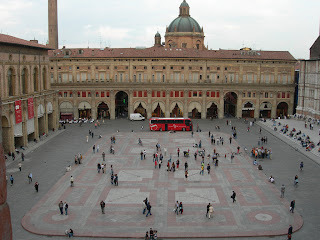 The square is surrounded by the Palazzo dei Notai, Palazzo d'Accursio, Palazzo del Podesta and the Basilica of San Petronio. National Art Gallery in Bologna has the largest art collections in the city. The museum is concentrated on Italian art made ​​by artists from Bologna and the surrounding region in Italy. 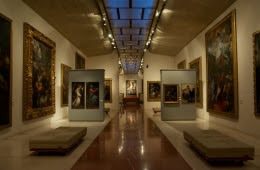 This museum offers a wide collection of Emilian painting of the 13th century until the 18th century. Some well-known painter whose work here is Giotto, Raphael, Titian, Tintoretto, Carracci and Guido Reni, and many other fundamental works of artists who in some way related to the city of Bologna. National Gallery of Art become one of the famous bologna tourist attraction. Neptune fountain located in the old city center of Bologna and in addition to being a major tourist attraction in Bologna, Italy. Besides enjoying the fountain you can also sit around drinking coffee in one of the cafes nearby. 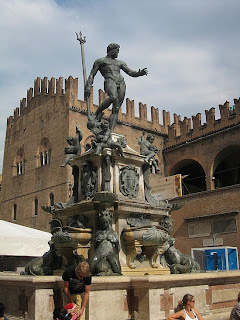 This fountain has become a permanent feature of Bologna since the mid-16th century. Four cherubim and the sirens are located in four directions around a bronze statue of Neptune, representing the four corners of the earth. Archaeological Museum of Bologna is located in the heart of the Palazzo Galvani, Pazza Maggiore and close to the Church of San Petronio. The building is from the 15th century. This museum has a fairly extensive collection of artifacts that were excavated around the bologna and Emilia-Romagna region in Italy. Here you can see a collection of artifacts There is a very good collection of Etruscan civilization, the ancient Romans. 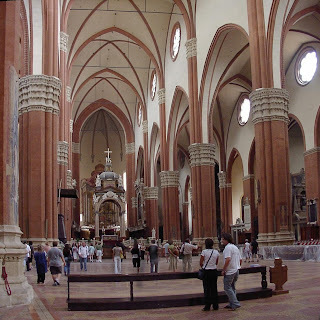 Basilica of St. Petronio is one of the oldest and most magnificent building in Bologna. The basilica was originally built in 1390 and continued until the 1600's and is the fifth largest basilica in the world. When first built, the basilica in Bologna was intended to have a larger building of which you can view at this time, but later the Pope issued a decree ordering that the size of the building should be minimized so as not to overshadow the basilica in the Vatican. Morandi Museum is dedicated to the works of Italian artists of the 20th century, Giorgio Morandi. In this museum, you can see more than 200 paintings, drawings and sketches of the Bolognese painter G. Morandi (1890-1964), mainly donated by his family. Studio at the museum also has been reconstructed with an extensive library. There are some information about the major tourist attractions in Bologna, Italy. Hope it can help you to plan your vacation.